Situated on 160 acres of the Hudson River waterfront, the Fort Washington Playground had a recent $30 million upgrade to make it a truly unique space in New York City. 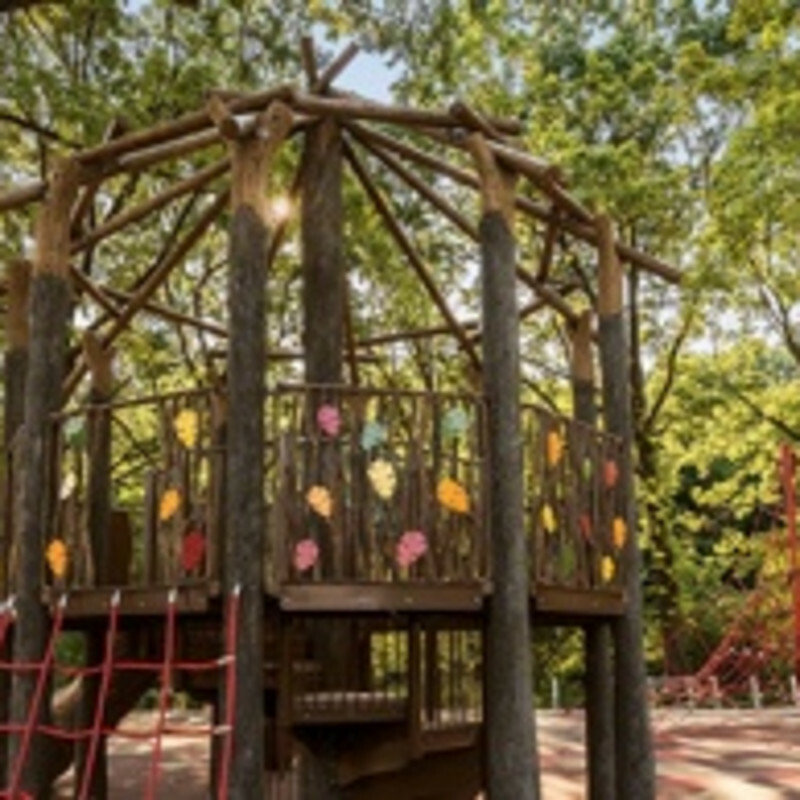 The new park includes a Nature Discovery playground that features woodland themed equipment like giant leaves, a treehouse with slides, and a large sandbox. You and your children will enjoy being immersed in nature while still seeing the New York City skyline in the background. Fort Washington Park provides a quiet retreat for the entire family in an otherwise bustling city.